John has 25+ years experience as a professional photographer, writer and adventurer. Included are commercial and editorial photo assignments, in the studio and on location. He has traveled and photographed most of the wildest places in North America, and now enjoys exploring Europe. Selected credits and clients for John. It's now 6 books. 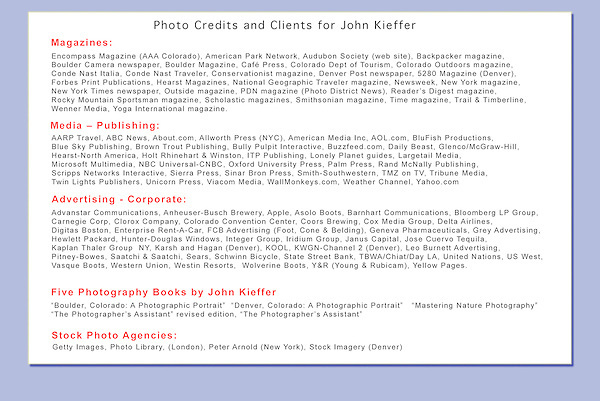 John Kieffer resume, John Kieffer photographer, John Kieffer writer.